As a Komen fundraiser, we know you give your time, passion, and dedication to giving back to your community. We want to show you how much we appreciate your efforts and accomplishments in going the extra mile to make the biggest impact possible in the fight against breast cancer. Start or Join A Team to bring family, friends and coworkers together to celebrate a survivor in your life, honor the lives of lost loved ones, or simply support a great cause. In addition to enjoying some friendly competition, you’ll receive a team website, entry into team contests, and eligibility for top team rewards. Largest Fundraising Team Recognition – The top fundraising team’s name will be included on next years Participant Race t-shirts. The top 20 fundraising teams’ names will be listed on next years Team Captain t-shirts. TEAM CAPTAINS whose team raises at least *$1,000 receives a pair of earrings. (*If no one individual team member raises $1000, but the Team as a whole raises $1000 or more, the Team Captain will receive a pair of earrings. Example: Team A has 5 team members and raises $1,500 collectively). INDIVIDUALS who raise at least $1,000 will receive a pair of earrings. Individuals who raise $1500 or more will receive One Race Day VIP area ticket. 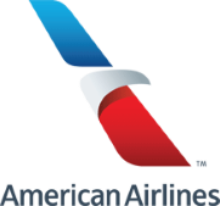 The top two individuals who raise at least $5,000 win an American Airlines certificate to be redeemed for 25,000 AAdvantage miles. AAdvantage miles may be redeemed for flights, hotels, upgrades and shopping. Note: The deadline for submitting donations is the last day of the Race month. Reward certificates are sent to the email on file approximately one month thereafter.